6" Blue/white transitioning LED snowflake outdoor lighted ornament with hook. 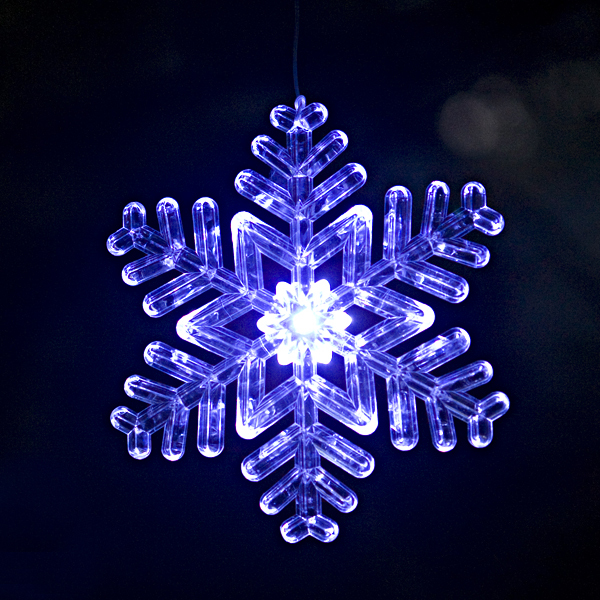 This LED snowflake ornament is suitable for indoor and outdoor use. Each with a built-in electronic timer to save battery life - on for 6 hrs, then automatically off, then they turn themselves on again at the same time every following night. This LED outdoor snowflake ornament battery operated and requires 4 AA batteries (not included). Green color battery compartment.